A pond has been the starting point for many a life-long interest in natural history. Whether it is the first jam jar full of frogspawn, a tiddler caught in a net, a graceful swan or a diving duck, the pond gives us all an immediate contact with nature. This book covers all the types of wildlife that are centered on a pond, whether under, on or above the surface. Topics discussed include algae, plants, insects, mammals, reptiles, amphibians, birds - species that anyone can see and identify, helped, perhaps, for the smallest forms by a simple magnifying glass. 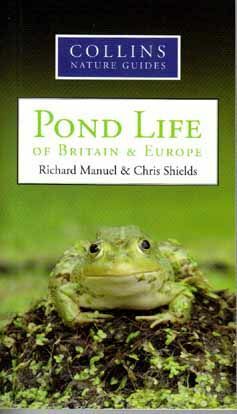 The range of the book extends beyond British species to include species from the temperate zones of Western Europe, and it covers ponds of every size from temporary pools to reservoirs. The introduction to the book draws the reader's attention to what is likely to be visible when and gives guidance on where and how to look for the less obvious plants and animals.